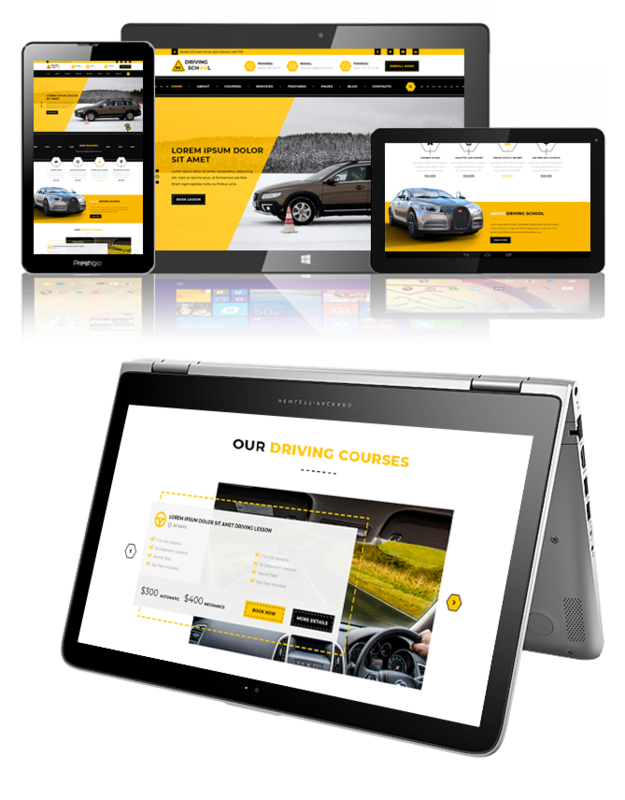 This driving school WordPress theme is flexible, eye-catching, beautiful and feature-rich with amazing functionality and features that make up for a perfect website for driving instructors, driving schools, vehicle license office and other relevant websites. It is designed to be lightweight for speedy loading of website. Although it is loaded with exclusive functionality but your website will not bloat and will work smoothly. The driving school WordPress theme comes with many layout options to design the header and footer in several different styles. You have the choice to select between boxed and full-width version of the theme. We have a talented team of dedicated developers behind this fully efficient driving school WordPress theme. This theme is 100% responsive and loads smoothly on all browsers. It can be translated into several other languages. This retina ready theme shows crisp images and sharp fonts. As the theme is designed with many website specific sections, they have the option to hide or show them. It is made to divert heavy traffic towards your website with its SEO. This driving school WP theme is provided with theme customizer to let you customize it without knowing any coding. You will get customer support and regular theme updates with this premium theme.